Today the West Elm Knock off series continues. 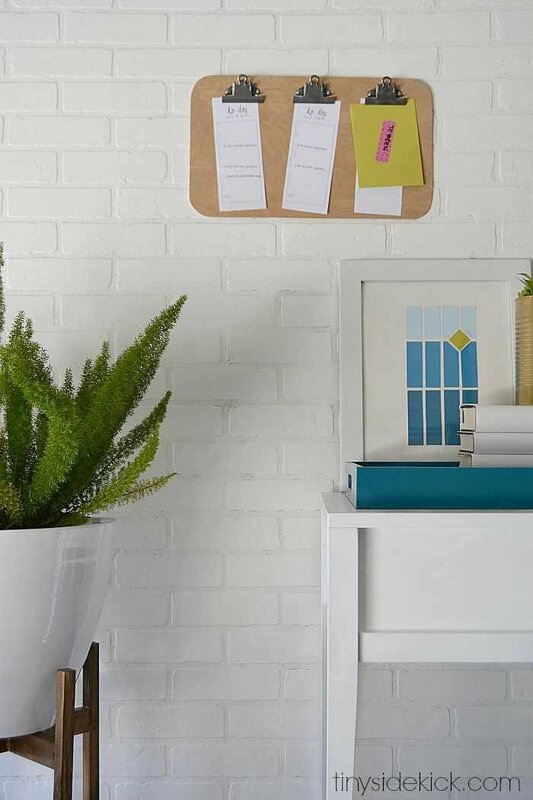 Last month we shared 5 West Elm knock offs for the outdoors, and today we are back with 5 DIY projects that will have your home looking beautiful and more organized! Teaming up with such a talented group of ladies is so much fun! 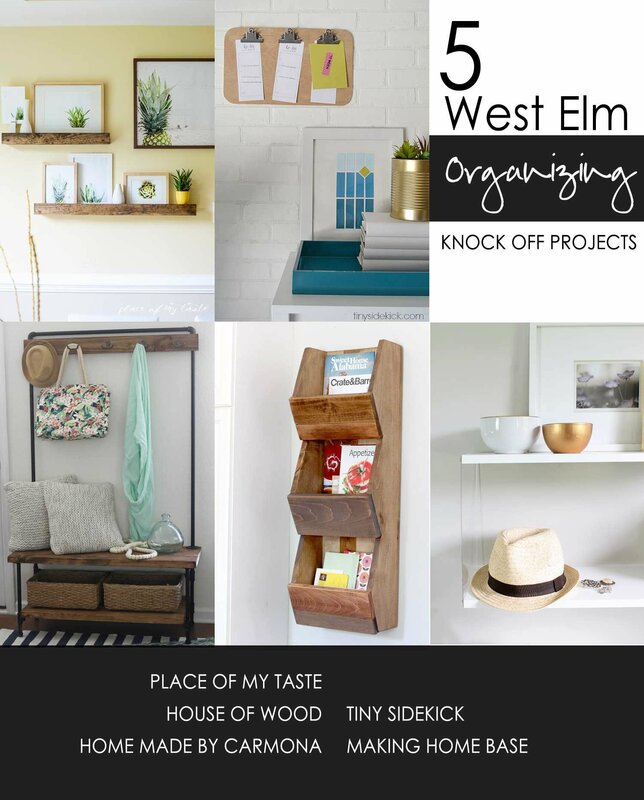 First I’ll show you how I made this West Elm inspired notice board in less than an hour and then be sure to visit my gals to find out how each one of them recreated a West Elm look to add to the organization of their space. You’ll find links to each one at the end of the post. I’ll admit that there is a spot on my kitchen counter that has turned into a pile of crap. I desperately needed a place to clip the important stuff and toss or file the rest. This is going to be the perfect spot to keep my to-do list and party invites and keep them off of the counter. I was able to complete this project for less than $10 in less than an hour. Cut your board 17 3/4 x 10 1/2. 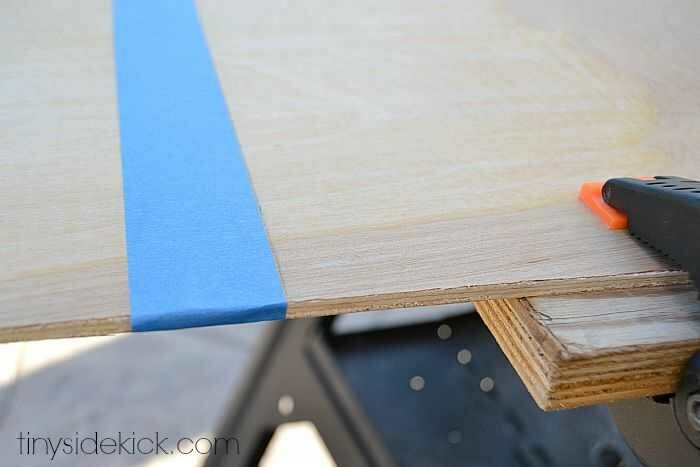 It is best to draw your line and use painters tape just along the edge covering the side you want to keep so that the wood doesn’t splinter. Run the skill saw just to the side of the tape. Don’t touch the tape with the saw or it will splinter. 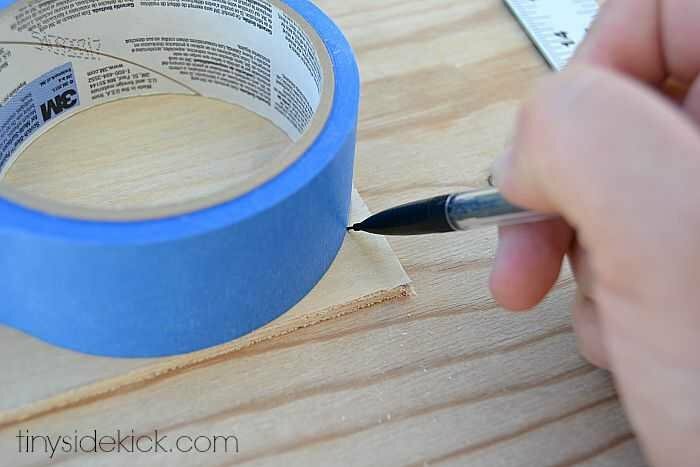 Once you have your rectangle round the corners by tracing the edge of your painters tape at each corner with the good side of the wood facing down. Then cut with your skill saw. You will have a few splinters, but since the good side is facing down, the part that you will see should have a nice clean edge. This next part threw me for a loop. I tried a few different things and finally settled on using screws. Aren’t you glad it’s my job to figure out what works and make all of the annoying mistakes for you? 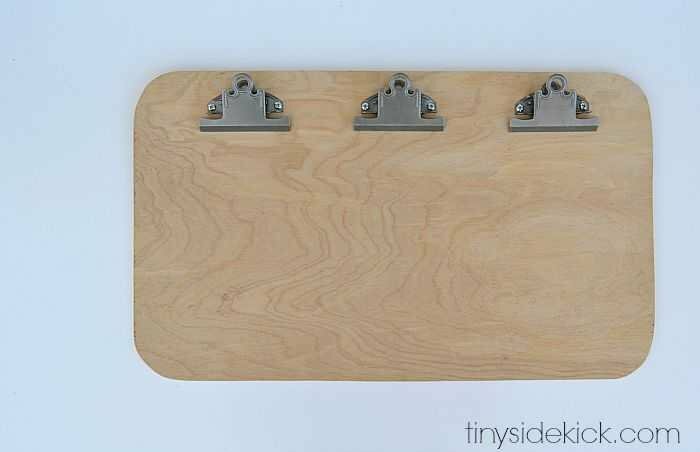 In order to attach the clips with screws you will need to add another layer of underlayment so that your screws don’t go through. 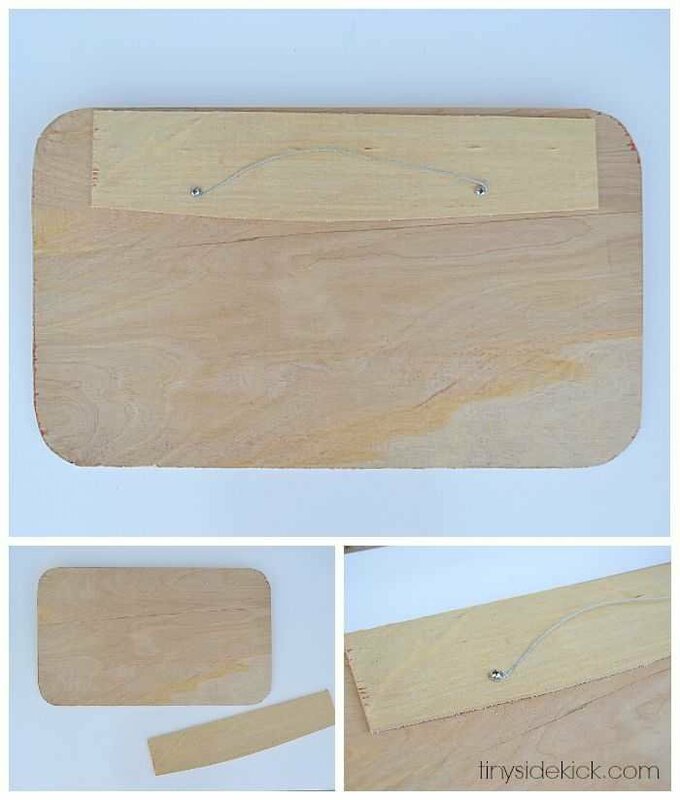 This will also act as a way to hang your notice board. So cut a strip of your wood. Then screw 2 short screws into the back, but not all the way. Wrap your picture wire and then screw in a little bit more to clamp the wire down. 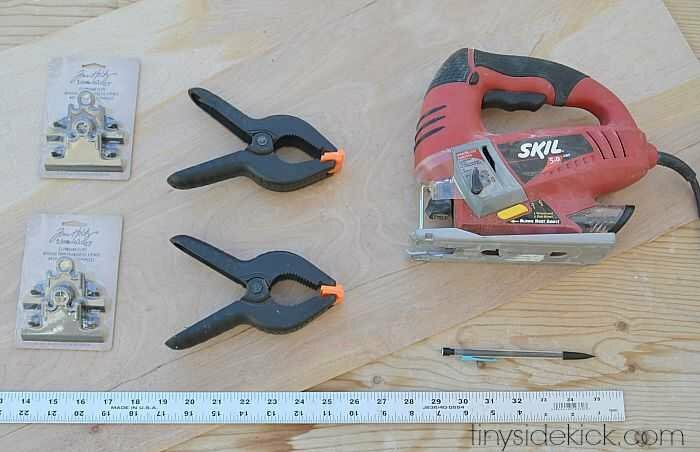 Find your center point and attach the middle clip in the center using 2 short screws. After that I just eyeballed the other 2 to make sure they were even. You could do the math, but I pretty much avoid math like the plague. Boo-ya! 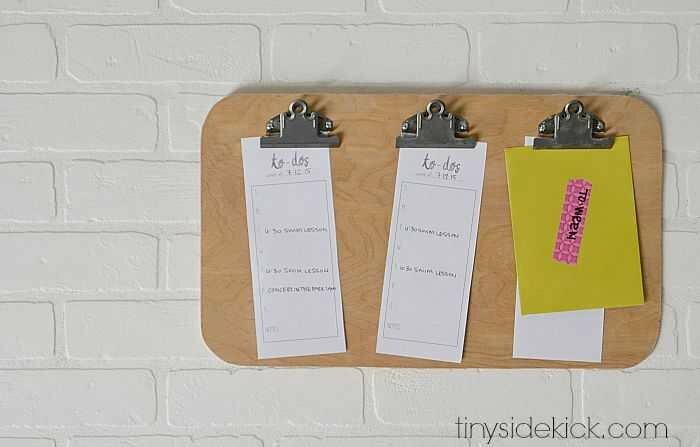 Add some important notes to get them off of the counter or your desk! Ready for more organizing projects! Be sure to visit my friends and check out their DIY projects! Love this!! What a great afternoon project. I love that it has 3 clips! This looks super easy to make and It’s definitely something I need in my life! Pinning my Friend! This is so great, Corey! Perfect for back to school too! 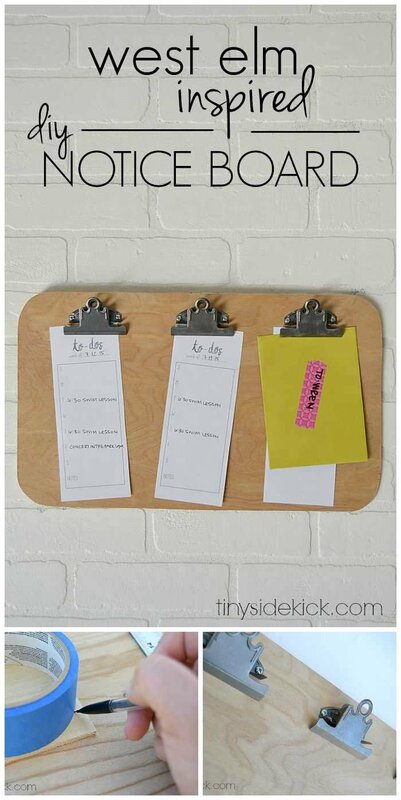 What a fun way to get organized an using tape for the rounded edge is super clever! Thanks Katie! I’m hoping it helps me keep papers off of the counter that end up in a huge pile! This is so going on my TO BUILD list, Corey! LOVE it!